I went into this movie expecting a solid Planet Of The Apes film, and that is exactly what I got. War For The Planet Of The Apes Is humanity challenging, with a true dark and thrilling tone. The real question is, was it better than it’s predecessor? 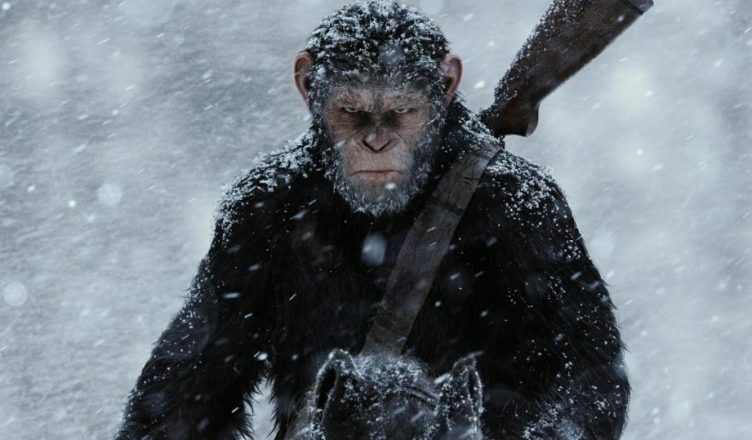 War For The Planet Of The Apes is exactly what you’d expect, when comparing it to it’s first two films of this excellently rebooted franchise. The final film has the same goodness of the first two movies as it offers solid acting, writing and an interesting storyline. Andy Serkis (Caesar) seems to get even better with each of these films as his character Caesar becomes more and more complex and well acted as the story progresses. While many may be blinded by the films top of the line CGI, there is no way in the world that Andy Serkis’ role as Cesar will not warrant him several award nominations, including a possible Oscar. On top of the impressive acting from the shows main star, Woody Harrelson is also an impressive addition to this film, as his seasoned acting skills certainly show. He plays a hardened general whose torture you can feel beyond discomfort, while he also makes you understand his characters motives. This is in large part due to the films excellent writing and direction, as the way in which Matt Reeves moves the story along will keep you wondering on how this all will end. While the film does well in this area, it also excels in it’s ways of helping you understand each of the sides motives, while playing with your mind in the way of who to root for or against. 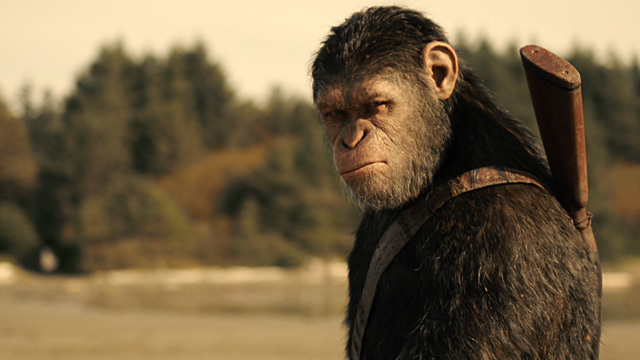 It is very interesting how Reeves is able to capture the story in a way that will make you feel conflicted in rooting for the Apes over your own race. 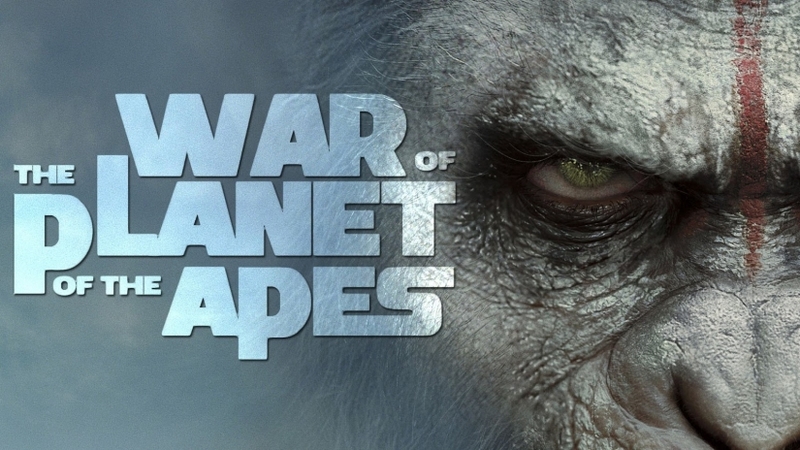 While War For The Planet Of The Apes is surely entertaining, I think the movie made a mistake in making this film seem like it will be made up of some gigantic battle. Yes, there was a battle, but to the extent of comparing it to it’s previous film, Dawn Of The Planet Of The Apes, I don’t think the battles were nearly as intense. Sure there were some cool and intense scenes, but they did not live up to the hype I had of this being some final battle for the world etcetera. Instead, the movie plays a lot more like a personal story with some battling, as opposed to some final epic fight. War For The Planet Of The Apes, is no total war movie, but more of an intensive story of it’s leaders reign of the Apes. 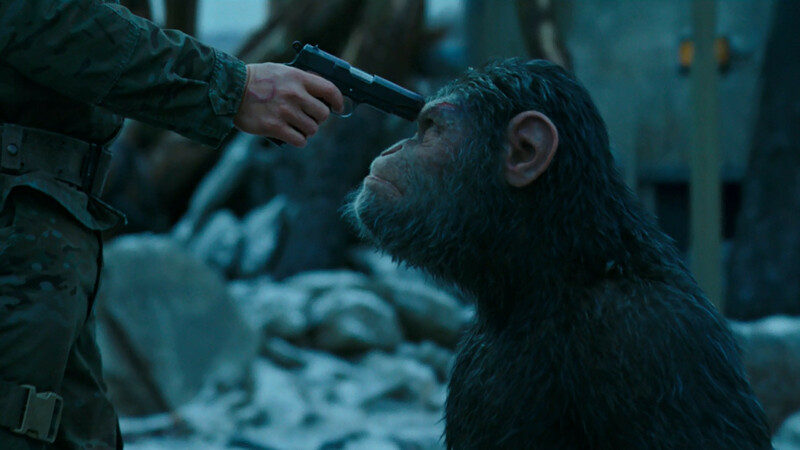 While excelling in strong performances from it’s main cast and actors, War For The Planet Of The Apes is written in a way that will likely have you feeling conflicted in rooting against your own race. While this movie does have it’s exciting moments, I do not think it is better than the previous installment of the series (Dawn Of The Planet Of The Apes), as it was missing the all out war intensity that I was really rooting for. See War Of The Planet Of The Apes in theaters now, and check out Crazy For Film for even more movie news and reviews! Great review. Agree with absolutely everything that you said. I feel it’s a very strong trilogy of films and that’s a rare thing to say nowadays.